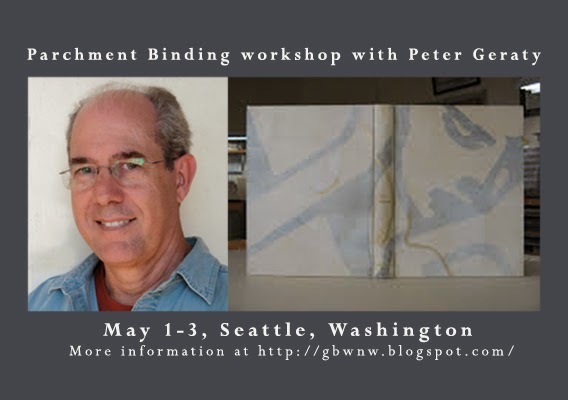 Just a quick reminder that the parchment binding workshop with Peter Geraty is less than a month away! The workshop is being held May 1-3, and sign ups are still open. Be sure to take part in this fantastic opportunity to learn from an excellent instructor and renowned bookbinder. Further details regarding workshop details and sign up here. For any questions, contact Bonnie Thompson Norman (inkdart [at] gmail [dot] com).